​ Nestled along the rocky shoreline of Shelburne Harbour, between the towering century old pines, are 5 cottage hideaways waiting for your visit. 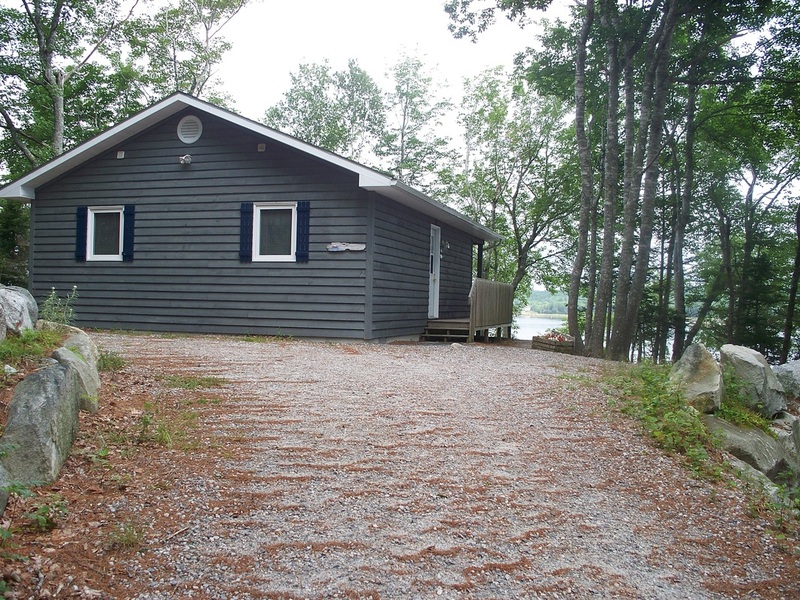 Boulder Cove Cottages offers the casual luxuries any guest would demand with picturesque Bay views, relaxing airjet or whirlpool tubs, campfire pits to take in the view and nice queens size beds to wake up in. 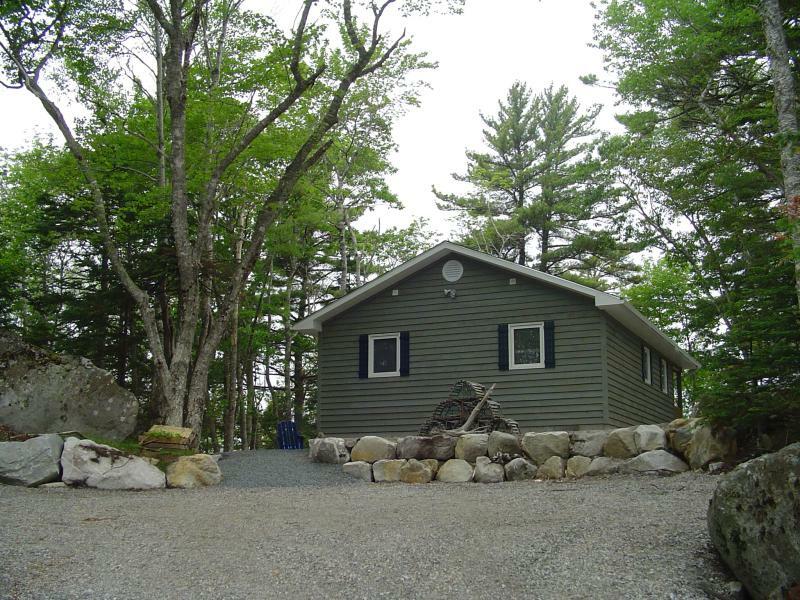 We have trails and hiking paths through 75 acres of woods, Boulder Cove offers that secluded feeling of peace and quiet with the convenience of small town necessities just minutes away. We implore you to learn more about what each of our cottages feature, activities on site, events happening throughout the county and the ways we can make your visit to our home that much more enjoyable. 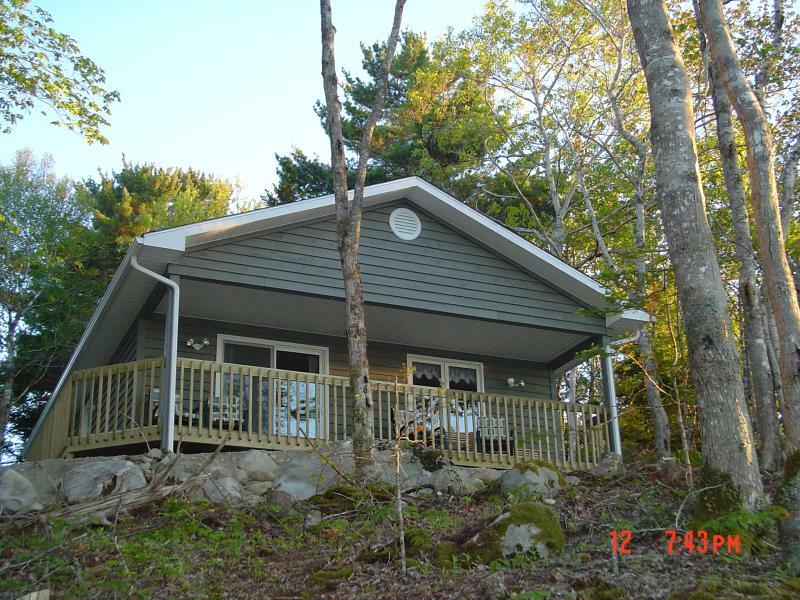 The only place you will want to hang your hat for your vacation, our cottage retreats have almost 700 square feet of living space. Each one features the following and will win the approval of all who enter. Private ocean views tucked beneath the shade of the forest trees. Open air living room with pullout sofa bed and satellite TV. A 4 piece bath with two person air jet or whirlpool tub. Two spacious bedrooms with queen size beds. All our cottages are housekeeping units and with our barrier free cottage we're sure to accommodate all visitors to our retreat. If you have any special needs please do not hesitate to ask when booking your cottage. OUR COTTAGES ARE NON-SMOKING, except on decks! All the cottages over look Birchtown Bay in Shelburne Harbour and this cottage is named after the Black Loyalist community of Birchtown. A place full of fishing heritage and culture, this cottage named after the island of Cape Sable. Also home to an Important Bird Area, CSI (as locals call it) is a great day trip about 1/2 hour from Boulder Cove. Named after the Cape Roseway Lighthouse station that owner Mark Van Buskirk grew up on. You can visit it with a Shelburne Harbour Boat Tour to McNutt's Island. Each of our cottages are named after places in Shelburne County we want to encourage you to visit. They are NOT located in these areas! 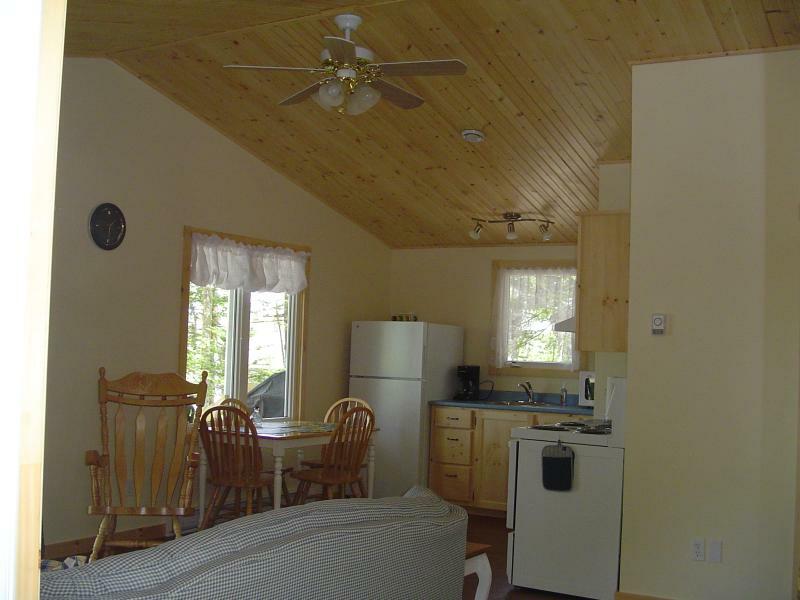 All our cottages are located in Churchover, Shelburne County. Above are a few pictures of each cottage. Since we do not have a minimum night stay here at Boulder Cove, during the summer months we can not offer requested cottages. There is a chance we will have to move a guest reservation around to accommodate both single night and weekly bookings. We prefer to keep guests in the same cottage for their entire stay rather than accommodate cottage requests on a first come, first serve basis. It is unreasonable for reservations to ask us to turn away a week long reservation to accommodate a two night reservation in a requested cottage. ALL reservations are guaranteed, but we just can not guarantee specific cottages. All cottages have the same features. 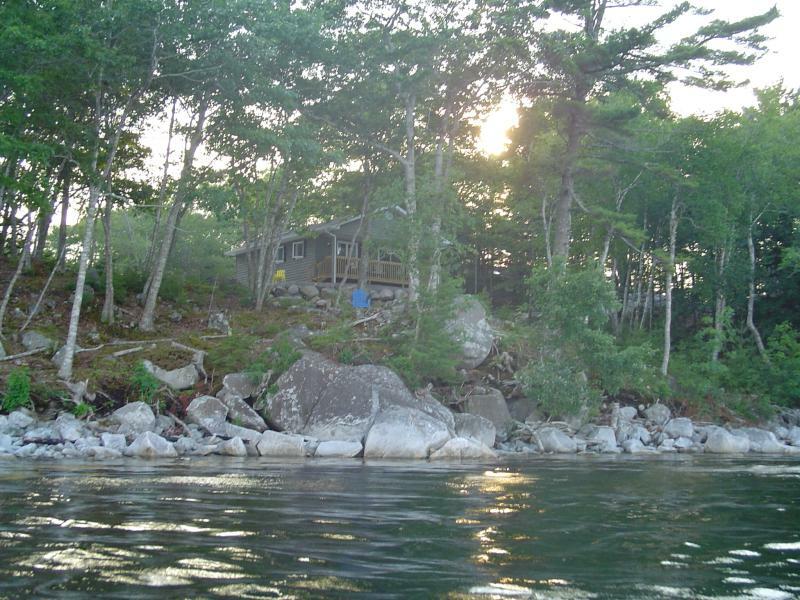 Boulder Cove Cottages are open year round with great shoulder season prices. We have special packages prepared for each season so watch for them as the seasons change. Our rates are in Canadian dollars. Please inquire about pets as they are an extra fee. We can not guarantee requests for specific cottages on reservations of one and two night bookings. All reservations and bookings require a credit card. No exceptions. You may pay how ever you like when you arrive. Nothing is charged to the reservation credit card unless you do not show up or cancel in time. This policy is different if you book more than three cottages at a time. ALL RESERVATIONS ARE MADE THROUGH PHONE. 902-875-1542 or toll free at 1-866-732-7867. ​ No ONLINE BOOKING AT THIS TIME. Children 18 years of age and under stay free of charge with adults. We accept Visa, Mastercard, American Express, Debit Cards and travelers cheques. All cottages are smoke free except on the decks. If this policy is not respected you will be charged a peak season rate for each night of your stay. This way the guests arriving behind you who have to stay in the cottage you now made smell like an ash tray will get a free stay in what was supposed to be a smoke free cottage. This policy is very strict AND includes those who are under the illusion that smoking in front of an open patio door inside the cottage means you are smoking outside. It does not! Check In Time: anytime after 3pm. Please advise if you will be late arriving (after 8pm) or early (before 3pm). There is a two night reservation policy for long weekends and holidays. In case of cancellation we require 48 hours notice for nightly stays and 10 days notice for reservations over 5 days. For holiday weekends we require 20 days notice. If you do not cancel in time we will charge you the full amount for the reservation if the cottage can not be re booked. Any bookings of more than 3 cottages at the same time we require one month notice of a cancellation. If you do not cancel in time you will be charged for the rooms which are not re booked. Due to experience, the following is our policy: you pay for ALL of it at the time of booking. No exceptions. If you need to change the reservation we will issue a refund.